We coltivate only varieties typical of the red berries which reflect our identity and our territory. From the age of 8, helping my mother and my father in the vineyards as well as the cellar, the love for my land and the fruit it could it give me grew every day. At the same time as the passion for wine and olive oil, there developed a love for animals and especially horses. In fact our family consists not only of we three but also of 3 dogs, 2 horses and cat who follow our everyday work in the vineyards, enjoying together the successes and the satisfaction our work deserves. In the 2016, after years of experience from our daily work, I decided to undertake the responsibility of the firm alone, on the one hand, in order to relieve my parents of some part of the never-ending work and, on the other, to renew our wine image and give our firm a more international tone, thanks to the frequent acknowledgement from the many worldwide reviews for the quality of our wines. Our family history began almost 20 years ago when my father Stefano decided to buy a small crusher and a few acres of olive groves on the hillside of Mezzane di Sotto. 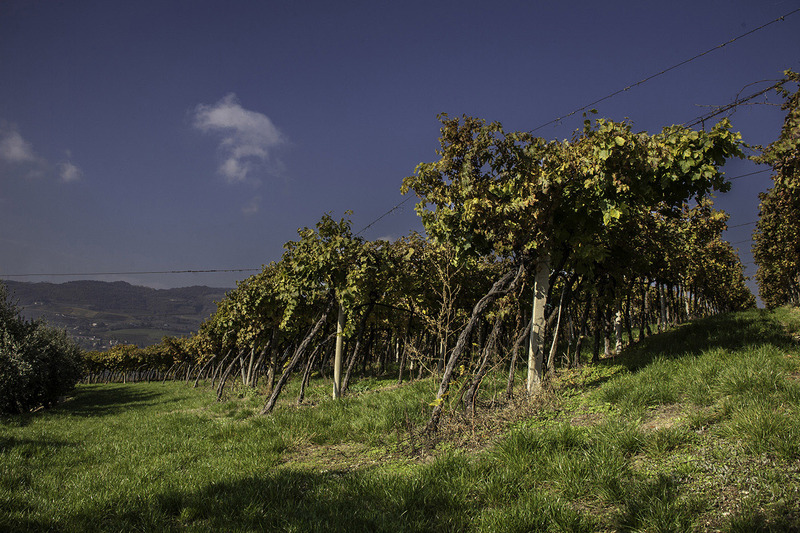 This is a hill which benefits from the microclimate of Lake Garda and the northern Alpine currents which contribute to create the thermal shock, important for the inimitable character of the fruit. 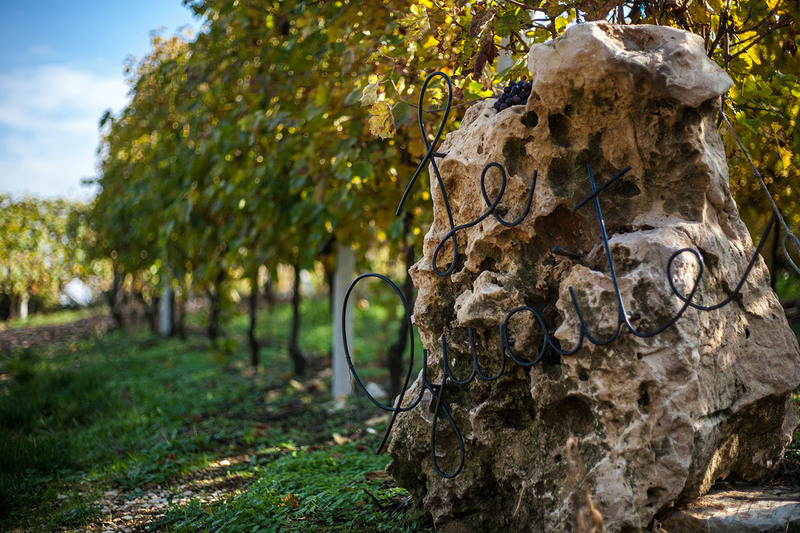 Only in 2002, following the purchase of a few acres of vineyard, including Le Guaite, situated on the best and highest side of the hill, does the production of the typical Valpolicella wine begin. Our wonderful land known as the Valpolicella, lies at 10 minutes, north of Verona, enclosed between the Lessinian hills and Lake Garda. From time immemorial, it has been known for the capacity for producing wines of an unbelievable strength and elegance through its vines of red berries typical of this area. The quality of our wines, in primis the famous Amarone, well known throughout the world, have contributed to earn for our land a position of primary importance in the Italian patrimony of wine production. Our little cellar and crusher, situated on the hills of Mezzane di Sotto next to the vineyards known as the famous Romano Dal Forno, mentor and still our first friend, is always open to welcome curious visitors and fans to show them what our dedication and land can create. 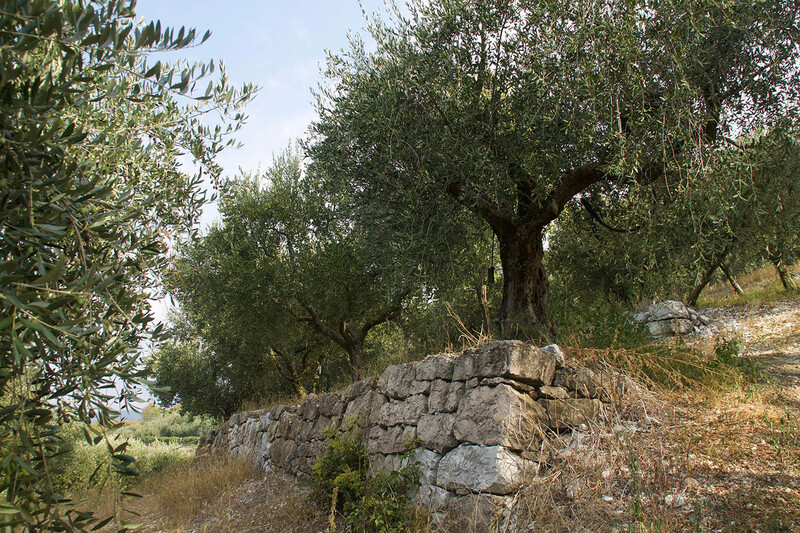 As well as the 10 acres of vineyard, we also own about 7 acres of olive groves, of which many are of an age-old variety such as Grignano, Leccio del Corno, Casaliva, all of which are treated and gathered by hand. Our olive oil is recognized by the leading national reviews as being among the finest of our area. It is obtained solely through a cold mechanical process without any chemical procedure. We present below our choice of olive oil which is limited to certain times of year due to heavy demand. Our firm is at about 15 km from Verona. We are always open but we ask you to kindly warn us with a telephone call prior to your arrival as we might all be busy in the vineyards. For guided visits and contact info@leguaite.it.